The following tips are based on my (little) personal experience. Some very interesting and punctual information I give is the result of resarches on excellent works, such as Steffen Arctander’s ‘Perfume and flavor materials of natural origin’ and others. There are no general rules on how to tincture or infuse materials for perfumery use. Needless to say, each product has its own characteristics and requires changements in protocol. Here is a summary that unveils my thoughts and my little knowledge on the subject. Tincturing process: grind the raw product and mix with alcohol, macerate, filter, age. 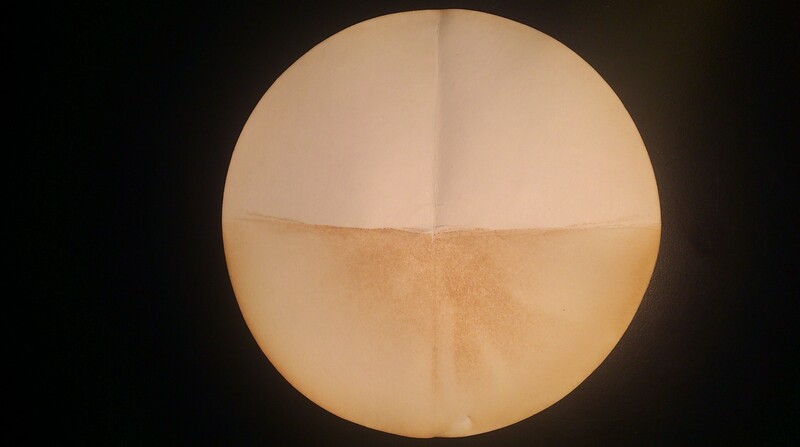 For some products (when the alcohol takes longer to extract the odourant matter) filtration occurs after the ageing process (the material is left soak in the alcohol). Infusion process: grind the raw product and mix with alcohol, heat under reflux, filter, freeze, refilter, age. Infusion is a little more complicated to put in place, but faster. In the 60’s it was already considered old fashioned to prepare infusions, due to the process itself, not standardizable. 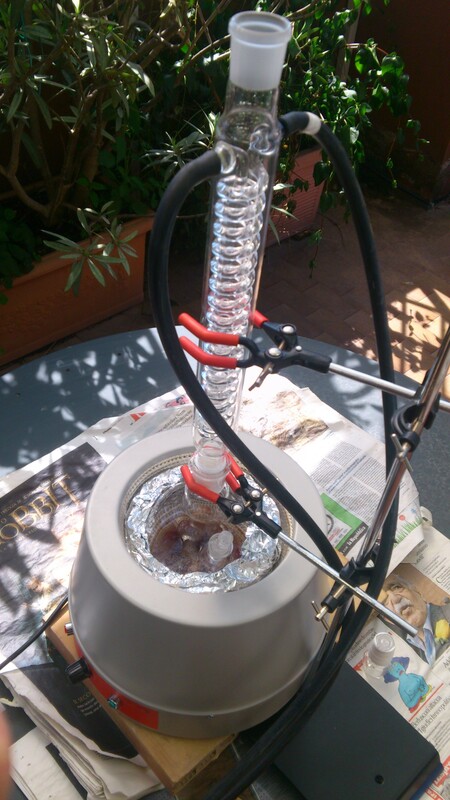 In fact, when heat is applied, some reactions can take place, especially in the presence of acids and terpenes. The result is sometimes desirable: it is said to produce a mellower product. First step: Grinding/comminuting the raw materials. In this case I am using a ceramic mortar. It is good for grinding hard products, for example: dried castoreum or hyraceum. But, sometimes, a hammer is a better tool… see starting from 2/3 of the video below. Castoreum pods can be very hard. In the case of a TINCTURE, the next step is simply adding the ethanol (usually pure) in the right proportions (from 3 to 20% depending on the raw material) and let macerate from 1 week up to some months. Steffen Arctander reports in his work that macerating 2 weeks is enough for vanilla beans. The tincture thus prepared is aged for some months before using. I prepared a castoreum tincture @20% (in pure ethanol) that is still macerating after 2 years (i.e. the material is still soaking in the tincture). The same happened for a tonka beans and myrrh tincture (1 year untouched on the shelf). Curiously enough, I haven’t perceived any important changement in the odour profile in the extracts starting from 2-3 months maceration. I think that 1 month maceration should be enough for any material. But, to my knowledge, there isn’t any drawback in macerating for longer (unless you want to save time). In the case of an INFUSION heat is applied. This process requires some glassware but is very simple to put in place. When preparing hyraceum and castoreum infusions heat is applied under reflux for 1 hour. The final product is free from any visible residues, the solution is clear and doesn’t show any cloudiness. 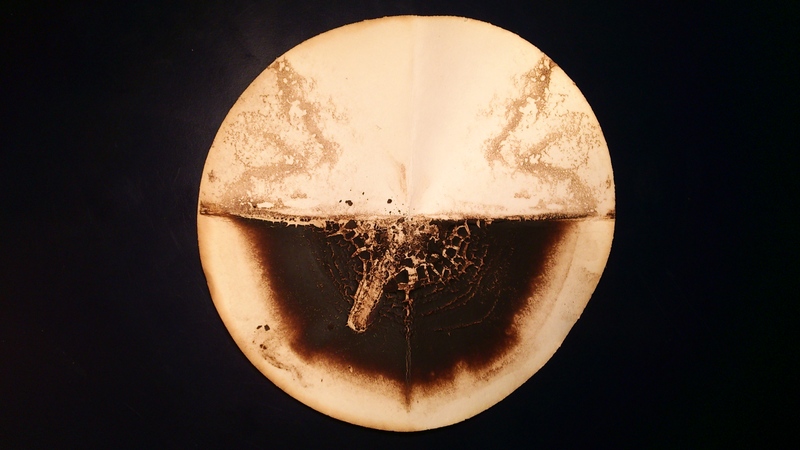 Hraceum infusion @6% after ‘glaçage’ and refiltration. It displays a beautiful reddish-ambery colour. Note that some particules are soluble at room temp. and they can pass through the filter. Cooling down precipitates these impurities. This process is called ‘glaçage‘ in french, and is applied to any extract that requires hot solvents (producing absolutes). Remember that heat causes solvents to dissolve much more product than is generally possible at room temp. This will cause the extract to become cloudy upon cooling or after some time, eventually producing some annoying residues that precipitate down in the bottle. For TINCTURES one filtration is enough. It is possible to prepare tinctures of almost anything. Only flowers and very fresh materials don’t give a satisfactory result. 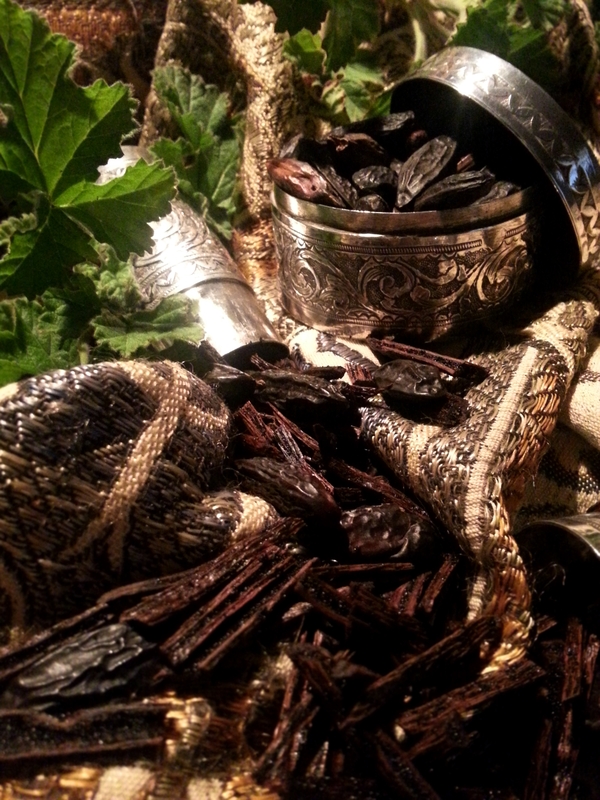 Think about vanilla, tonka, castoreum, ambergris, civet, hyraceum, (musk), olibanum, myrrh etc. Tinctures are rare nowadays, if not totally absent from the perfumer’s organ. 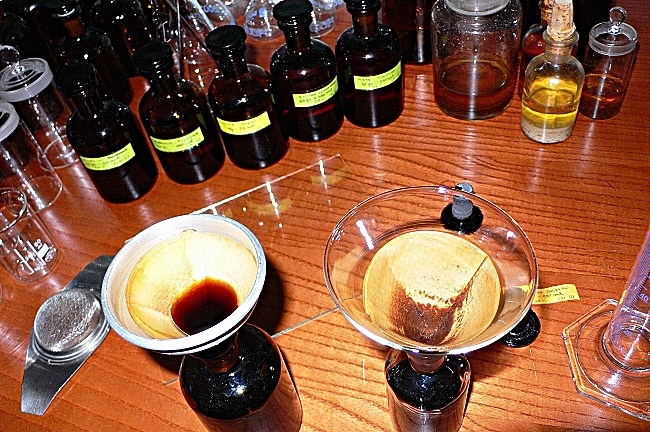 An exception is vanilla tincture (there is at least one big company that still offers this product today, for perfumery use), or precious products that are still tinctured on a very small scale: ambergris or civet are the only example (absolutes of civet, castoreum and hyraceum are produced). Apolar solvent extraction totally replaced (approx. one hundred years ago) this simple, artisanal type of extraction, in favor of a more constant and concentrated product. Another drawback in tinctures is that ethanol absorbs water from the material (this can cause some trouble in dissolving essential oils or aromachemicals in a formulation). It is interesting enough to note that some resinoids or absolutes are produced more or less in this way, in a one-step process (by percolation), by replacing organic apolar solvents with ethanol which is then evaporated. Castoreum 3%, 6%, 20% Very nice result, polished and softer than some absolutes. 20% is a crazy strength for this product. Benzoin 50% Benzoin is almost 100% soluble in alcohol (some residues are due to impurities). Heat will help dissolving the resin. Tolu balsam 20% Apply heat until the balsam is completely solubilized. Peru balsam 20% Completely soluble in alcohol without heat, almost no residues. Galbanum 20% Apply heat until the balsam is solubilized, filter the residues (dust, organical matter). Labdanum 20% Apply heat in order to help softening the resin. Filter. Very green odour, much different than the absolute. Tonka 20% Interesting but not as beautiful as the absolute. Olibanum 30% Nice, finer than the essential oil. Similar to the resinoid. 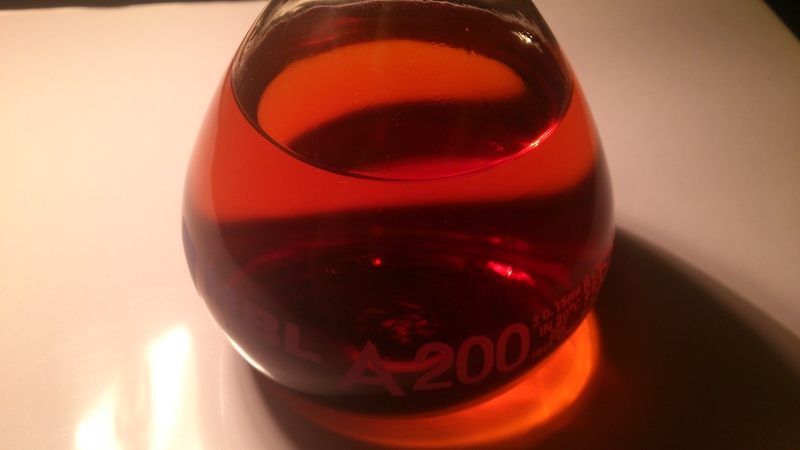 Myrrh 10% (in 70° ethanol), 20% (pure ethanol) Finer in 70° ethanol. Ambergris, different concentrations Be careful not to saturate or heat the tincture: ambrein may precipitate. Ambrette seeds whole and crushed Very poor results. Dried oak leafs Quite interesting. Fresh violet leafs Very poor results. Better on ageing. Seaweed (fucus vesciculosus) 20% Very nice results. Sandalwood 10% Nice result, but inferior to the essential oil. Orris root 30% (80° alcohol) Interesting, but inferior to any usual extract (concrète, resinoid or absolute). 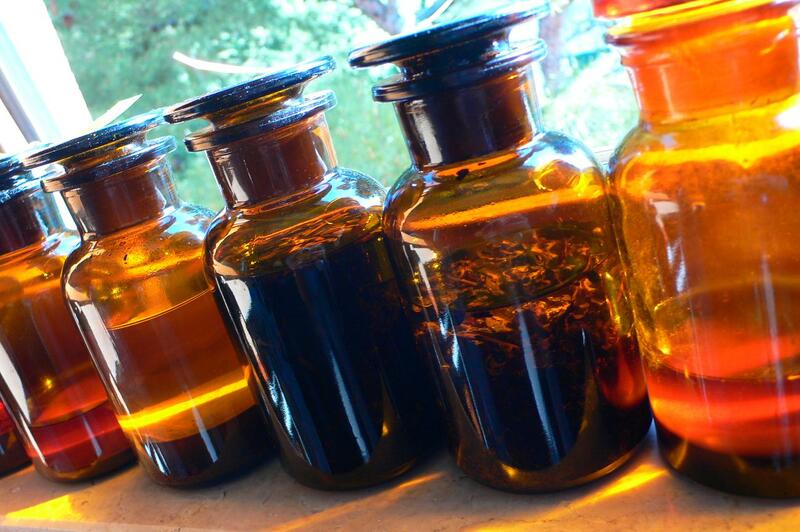 Tinctures that are worth producing/having: ambergris, civet, castoreum, hyraceum, vanilla. When I started preparing my first tinctures (4 years ago, now), I was obsessed with strength and I wanted to reach the saturation of the solution at any cost (I prepared civet tinctures @20%, ambergris @15%), but it didn’t turn very well. Especially for animal products, I warmly suggest to keep low concentrations (3%, 6%). Strength is to be carefully adjusted according to the power of the material. Naive it can be, this simple observation can make the difference. At lower concentrations powerful products can bloom and develop all their facets, while higher concentrations do not lend any additional feature and they are hard to dose or manipulate. A fitting example is civet: at high % it smells quite repulsive and mostly skatole, unrefined. At lower % a rounder, faceted product is obtained, developping the powdery, substantive muskiness civet is appreciated for. In the particular case of benzoin or other resinous products, high concentrations can be reached without any harm. Anyway, for these products resinoids or absolutes are produced and tinctures are simply outdated. Civet absolute also performs very well. Where supplies are scarce and batches irregular, as in the case of ambergris, tincturing still seems to be the best solution. Raw Peru balm. It’s almost 100% alcohol soluble. Benzoin tincture displaying some residues. Nice yellowish colour for this olibanum tincture. An old De Laire base (much probably reformulated today). “Produit de choix pour les notes orientales et parfums ambrés très aimés aujourd’hui. Sa finesse, alliée à beaucoup de puissance et de ténacité, explique aisément le succès qu’il a rencontré dans des genres très différents d’emplois, en France comme à l’Etranger. Translation: “The best product for oriental notes and ambery perfumes, very much enjoyed today. Its subtlety, combined with much power and tenacity, easily explains the success it has achieved in many and very different uses, in France and abroad. It is interesting to notice how the original amber was sold in a solid form, pale in colour. This may suggest that much of the formula were nitromusks, vanillin and maybe resinoids (like benzoin). The sample I have is physically different. Appearance: pale yellow, pourable liquid (DPG’s like viscosity). May form a crystallin precipitate in the cold. This is sort of a diluted version of the original base that I suppose was a yellowish solid. This is the archetypal “amber” of perfumery. Nothing in common with the ambergris, the sperm whale secretion. This one is based on vanillin or similar products (a heavy dose), powdery musks, some patchouli (but not earthy and terpy), sandalwood, balms (Tolu) and resins (labdanum, benzoin and styrax), plus a rosey, geranic note in the heart. Nutmeg and maybe cardamom lend some spiciness. Everything is wrapped and smoothed out by the vanillin overdose. I also detect a civetty facet. Long lasting and musky, powdery, vanilla absolute-like in the drydown, The sharp, incensey labdanum signature is still alive till the very end, discreetly. A masterwork of balance, good structure, fine details, simplicity. Easy to recognize. As almost any bases do, it needs incorporating into a fragrance, to give some boost and projection, especially in the very beginning. The high vanilla-musk dose is something that won’t come out easily, laying down close to the skin. Musk ambrette is now forbidden, but could be replaced by the flowery-type musk: ambrettolide, galaxolide or Romandolide (not powdery, but more ‘vegetal’ and clean in comparison to ancient musks, Romandolide in particular). The ‘ambréine absolue’ is sort of a purified labdanum. I don’t really know why stearin appears in the formula.